Jack Zavada of Inspiration for Singles have released a free Christmas book this year called Appalachian Christmas Dream. This book comes off the back of the success of the previous two Christmas books by Inspiration for Singles that have been downloaded by over 30,000 people. 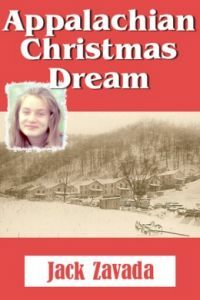 Appalachian Christmas Dream is a free online inspirational novel by Jack Zavada about the Moonlight School movement in Kentucky in 1913. Young school teacher Junie Corban’s dream is to teach the illiterate adults in her county to read and write, but she faces overwhelming odds, including a lack of money. When Junie gets unexpected help from handsome mining engineer Linton Todd, her dream begins to take shape, along with a surprising romance. Junie’s father gets injured in a mine collapse, and the only way to save him is for Linton to hijack a train. Zavada, the author of four paperback western novels, mixes romance and suspense with a heartwarming reminder of what matters most at Christmas.